Canada with a few hundred other homeopaths learning more about case-taking from Rajan Sankaran. Just around the corner from the venue, I saw this sign in a local pharmacy. How nice to see! Maybe someday we’ll see more of these signs in the USA. In Phoenix, Arizona homeopathy is hidden in Whole Foods, Sprouts Grocery stores, and similar places-unless you know of our local medicinary. 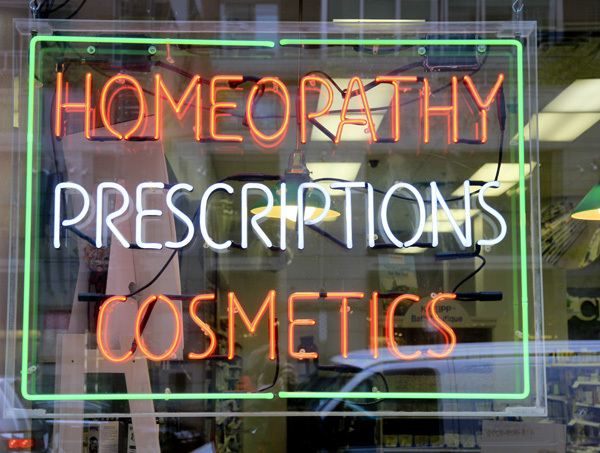 In Canada homeopathy is more main-stream obviously. Thanks for sharing that Greg, and how lucky you are to attend this talk with Sankaran. I am looking forward to him coming to Australia one day to do the same here!